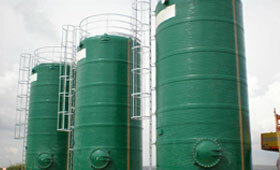 Over the years, a variety of materials has been used to construct storage tanks for water and wastewater storage. 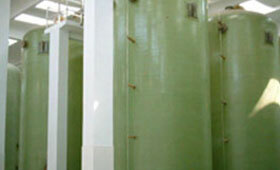 These systems – most commonly constructed of non-reinforced concrete, but also of polyethylene and steel – do not provide many benefits of a fiberglass tank, a tank which is structurally strong, corrosion-resistant, watertight, lightweight and easy to install. 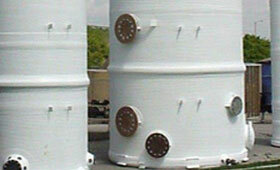 We offer a wide range of tank models and materials both vertical and horizontal. Let the professionals at AERON work with you to ensure your needs are met. The most cost effective design of any tank model, designed to be fully supported on customer supplied concrete pad. Designed to be fully supported by customer supplied concrete pad, but with two options; external or internal slope. When complete drainage is critical, our standard 90° I.A. 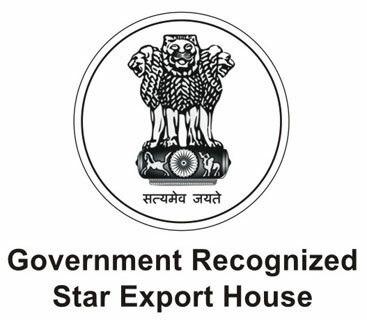 (Included Angle at Apex) model offers the best solution. The tanks come standard with a primed carbon steel leg support stand. Offering a near complete drain at a more attractive price than cone bottoms yet still provides clearance from the tank bottom to the floor when head pressure is required. 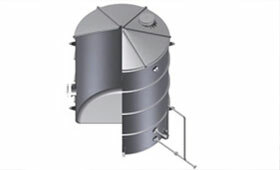 When floor space is ample and head space is restrictive, horizontal tanks offer the best solution. Bins for quick storage and portability and when the space requirements call for rectangular configuration, we have that too. 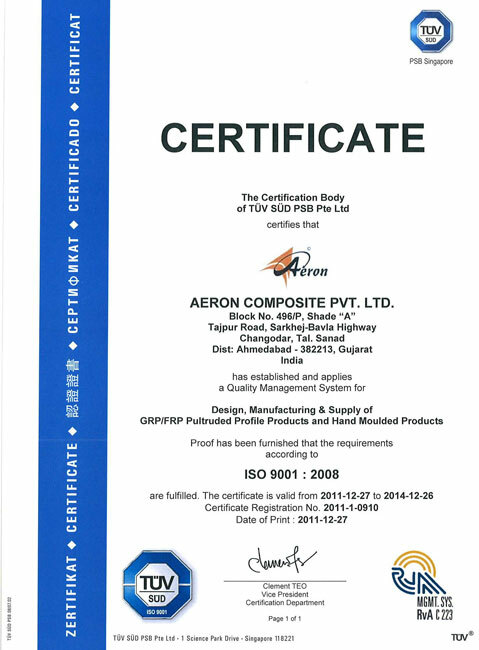 Aeron’s FRP aboveground or underground storage tanks are used for storing potable water, Acids, Caustics, Alcohol, Petroleum, fire-protection water, septic, water and wastewater, and other applications. Designers, owners and installers are finding that fiberglass tanks have major advantages, and they are gaining increasing attention. All nozzles for our FRP Tanks and FRP Flanges, integrally molded with the FRP Tank body. Standard as well as customized size available. 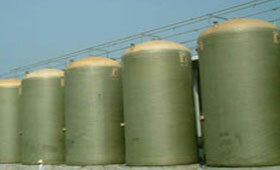 To ensure the quality products and long service life we conduct various testing before delivering the tanks to customer. 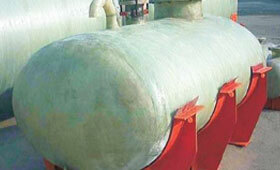 Some of the tests are Hydro Test, Hardness Test, Acetone Test, Strength Test, Glass Content Test and other specified test. 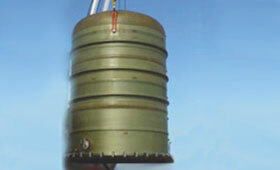 Flanges are fabricated as per numerous bolt dimension systems like ASME, DIN, JIS, BS etc as specified by clients.